Run the Jewels have quickly become one of the biggest groups in music, thanks in no small part to the runaway success of last year's RTJ2. With so much hype surrounding them, there's no doubt that they're a highly sought after commodity in the studio. Most recently, they've lent their golden touch to Massive Attack. 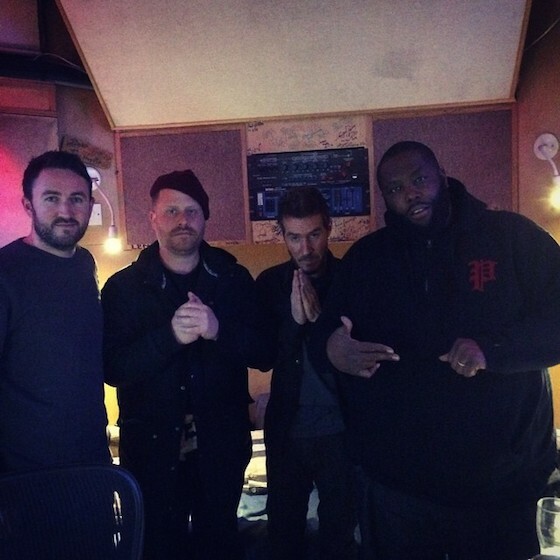 #RTJ x @MassiveAttack. Get ready. In studio with @massiveattack vibe'n to #BruceSpringsteen n Such. What y'all doing? What ever it is, let it be Grand y'all! Salutes. Whatever their collaboration produces, we'll undoubtedly hear about it at one point or another. There's hopefully more from Massive Attack on the way, as well, as former Oasis dude Noel Gallagher recently told Q Magazine that he's reached out to them for a remix.